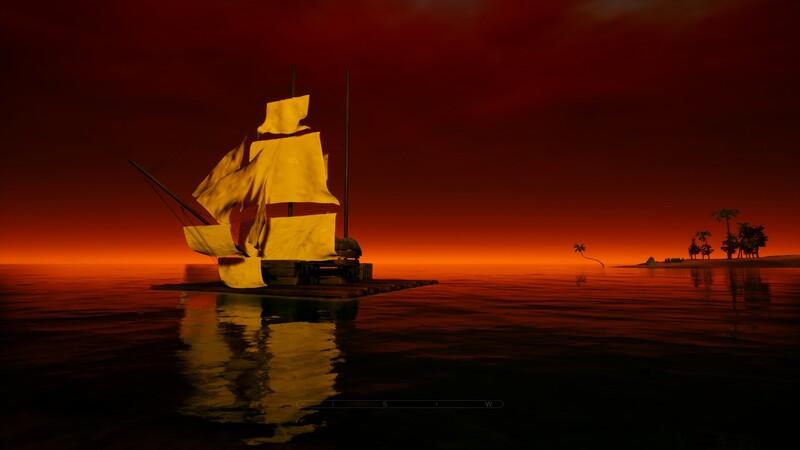 Since the developer of Novus Inceptio basiclly told me to sod off and play another game I thought I give this one a go. It is in VERY early access but cheap so I am giving it a go. 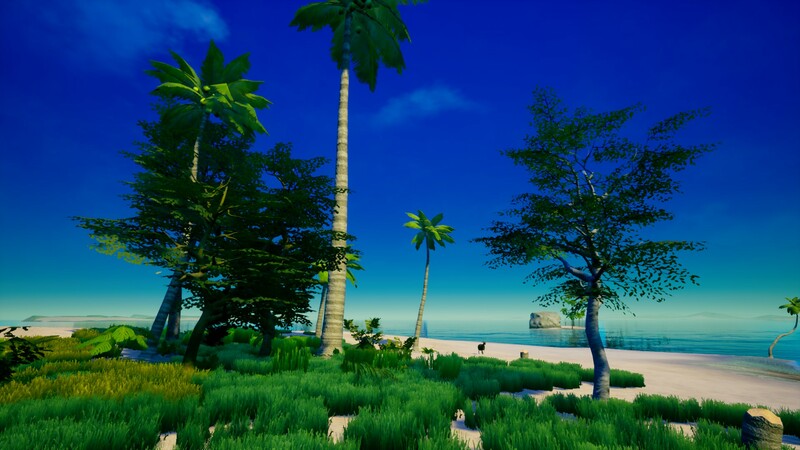 “My Island is a fresh, beautiful survival game with a background set in the endless blue South Pacific, which is quite different from most bloody and repressive survival games. 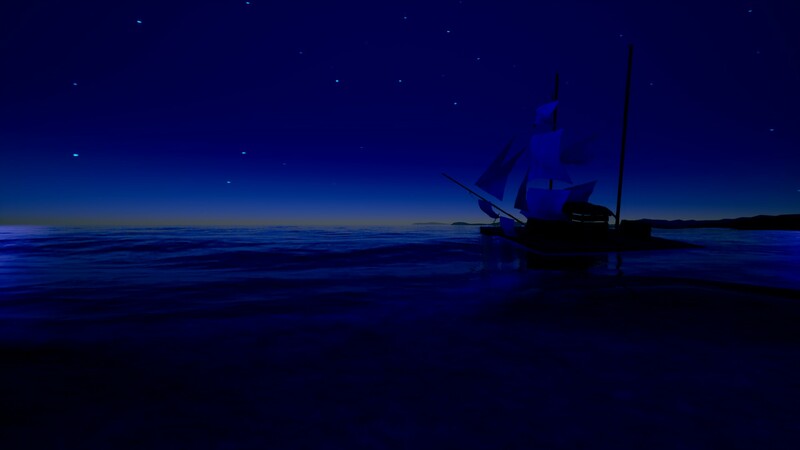 You will drift on the vast ocean and start a lonely journey. 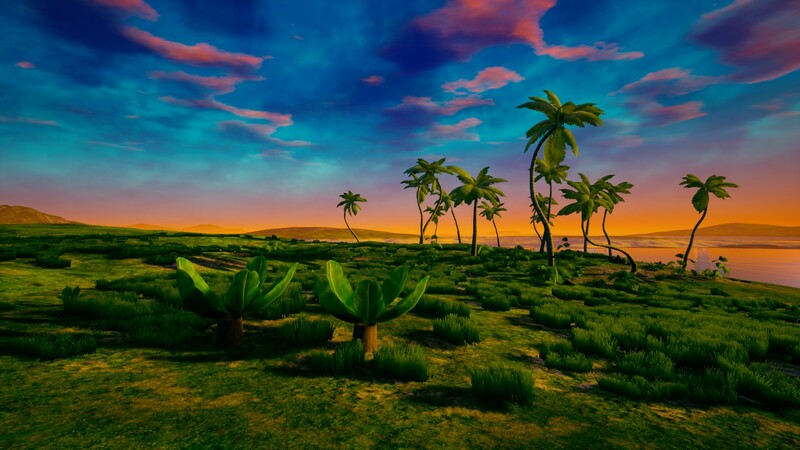 Planting fruits and trees, craft weapons, building houses,hunting and cooking, creating your own island home and Eden in dreams. it´s main core is to make a survival game which is not bloody and violent which sounds like my alley. 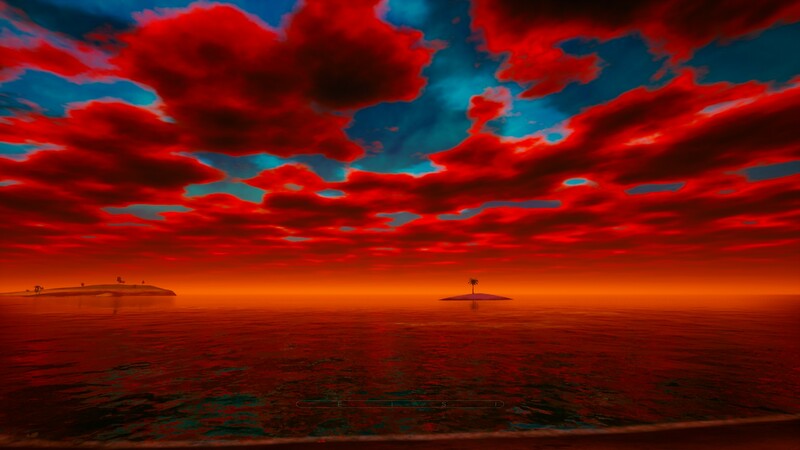 There are still blood when you kill the animal, more than I care for to be but not the gore which I think is in ark. 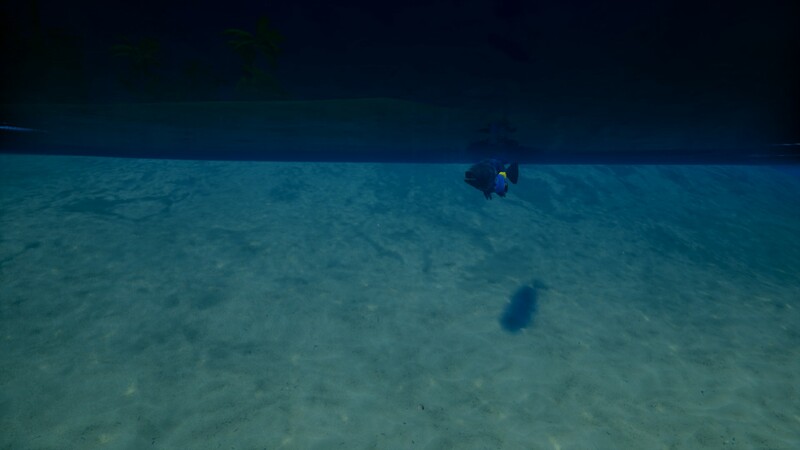 Ohh and not to forget lots of fish underwater and sooo many great whites who wants to eat you so dont swim.. rafts is a needed.. but still stear away from the great whites.. they can and willl tip your rafts - even there is a bug with them flying it will be fixed. 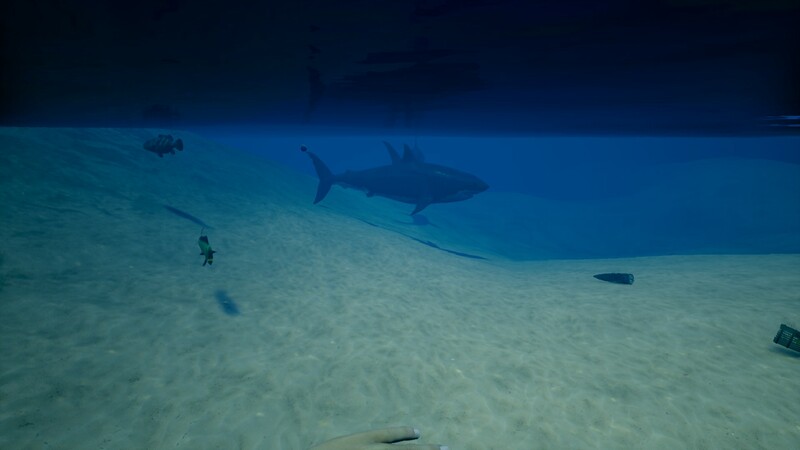 You cant kill them.. yet but I managed to explore just fine even with them. 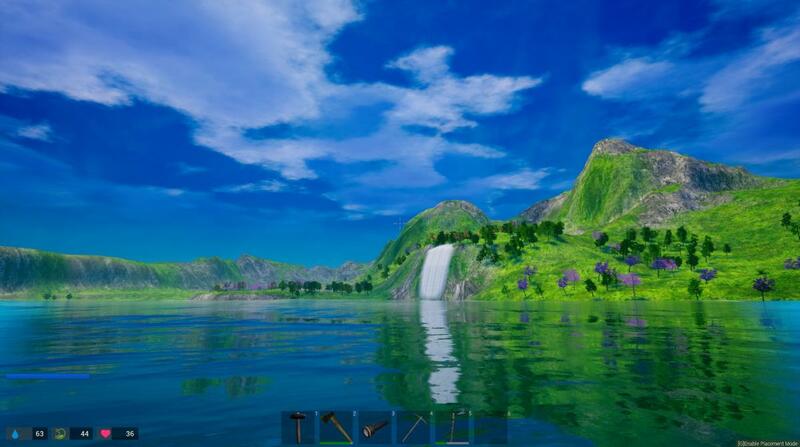 First island you land on is small so you need your raft! The worst part of great whites is that they eat what is in your fishtraps.. 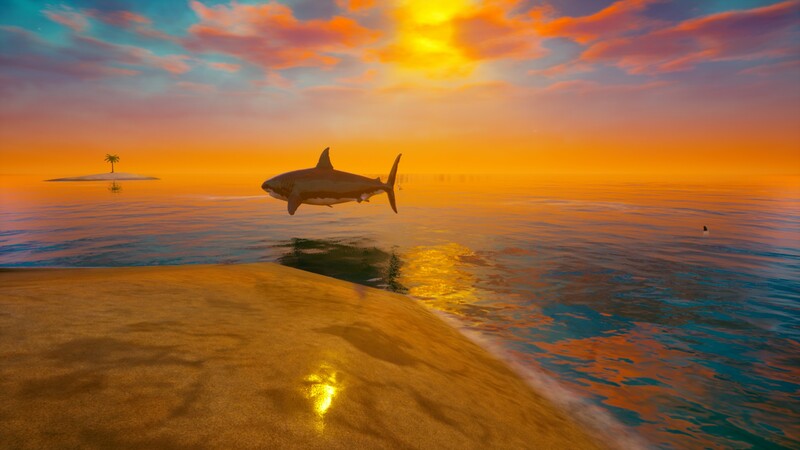 I need those fish to survive you hungry bastards!! It parallels your dragon's lore on FR a bit too, which is an added bonus. Perhaps this game will help inspire you to write up some crazy adventures for your dragons! New update. Lots of new features which I really like. 1. Add Navigation map and fast travel function, press M to open/close the map, you can see the blue icon is your location, click the red icon anywhere on the map as the destination, you can see the location in the map Distance and direction, the mouse wheel scrolls to zoom the map size, zooms and drags the position to view the map details. The running icon is a place where you can fast travel. 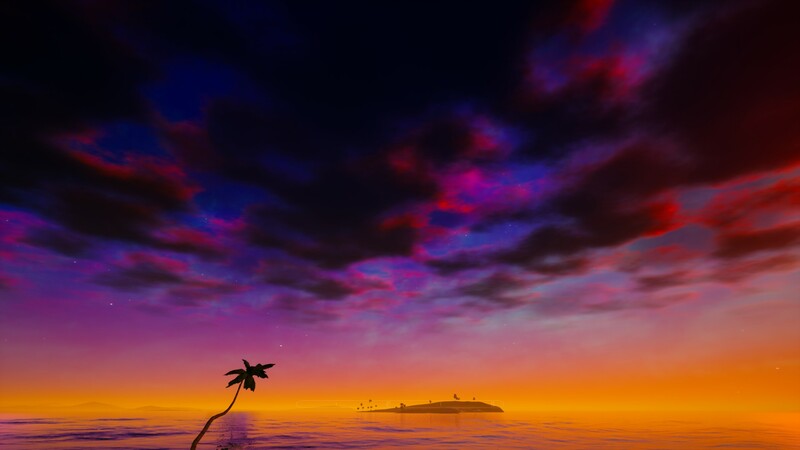 Although it may be a quick way to make travel explorations uninteresting, the coconut tree icon is the location of the landscape you need to explore and cannot fast travel. 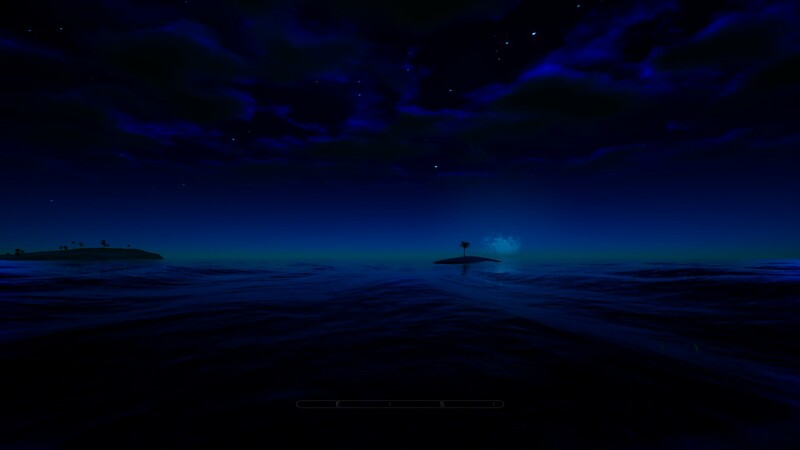 Note: You cannot travel fast on a raft. 2. Add 12 soft,beautiful and epic atmosphere music, play at random time in the start menu and game scene. If you don't like it or feel the volume is high, you can lower the volume in the audio settings. Added the sound of wielding weapons, adding the sound of eating apples and eating meat. 3. Added the function of holding food, the delicious food is Sent to the mouth, which makes the survive look more real and fun, the food and water are no longer eaten directly from the backpack, now you need to put the food After being equipped like a weapon, press and hold the left mouse button to eat. New fish resources and grilled fish are obtained by killing fish. 4. Add 3 new beautiful and lovely tropical fishes. 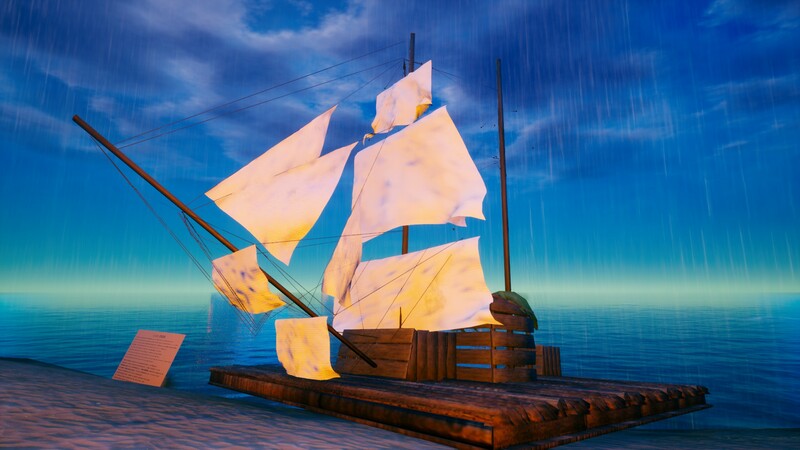 Weapons can be used in the water, remixing the swimming animation, if you catch up with the fish you can kill the fish, use the right mouse button to drag the fish ashore, cut the fish to get the raw fish meat, you can make the grilled fish fillets. 5. Added sleep function and sleeping animation, lengthened the daytime, and the daytime lasts for more than 30 minutes. 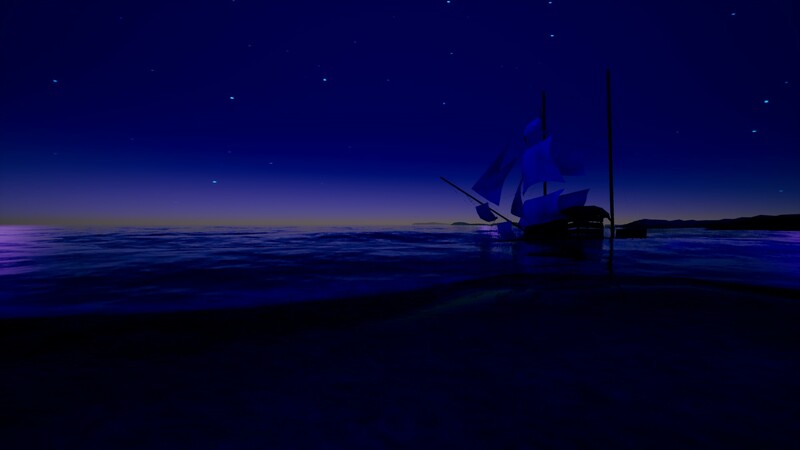 If you don't like the night, you can build a wooden bed or shelter. Press X to sleep. 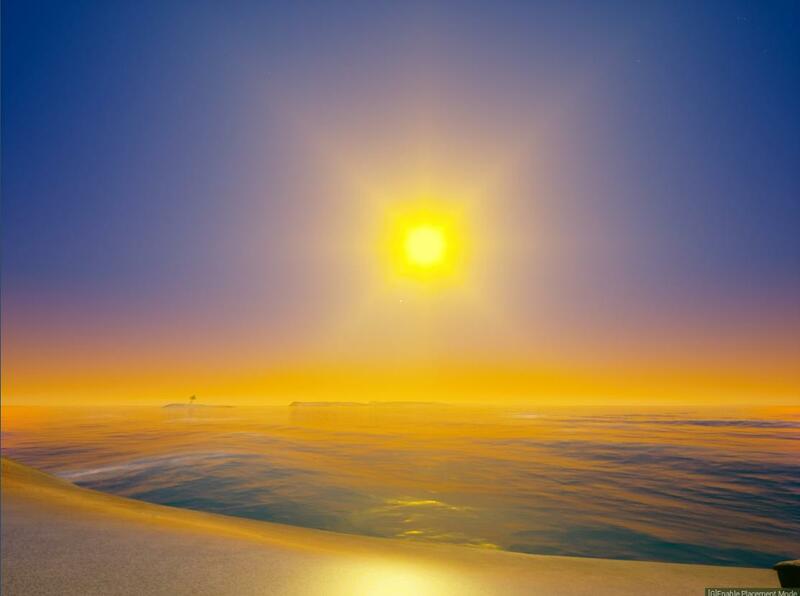 Time will come to dawn.. 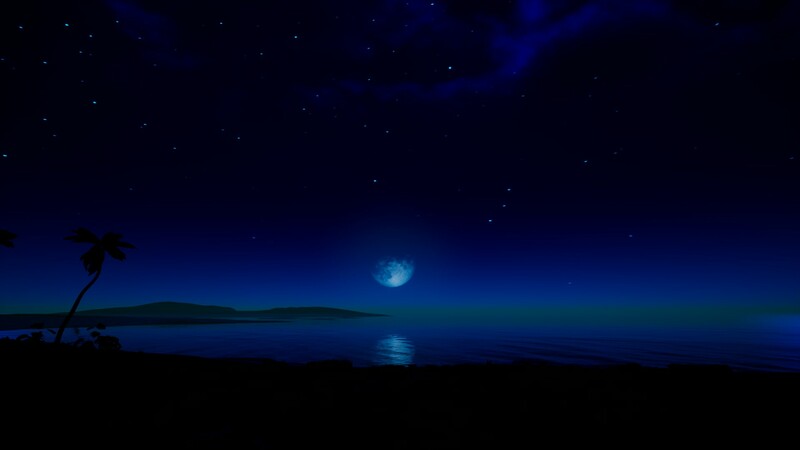 If it's a clear night, you can enjoy the beautiful moonlight and starry skyby close to the campfire. Maybe this kind of life is more real, let go of your hard work. 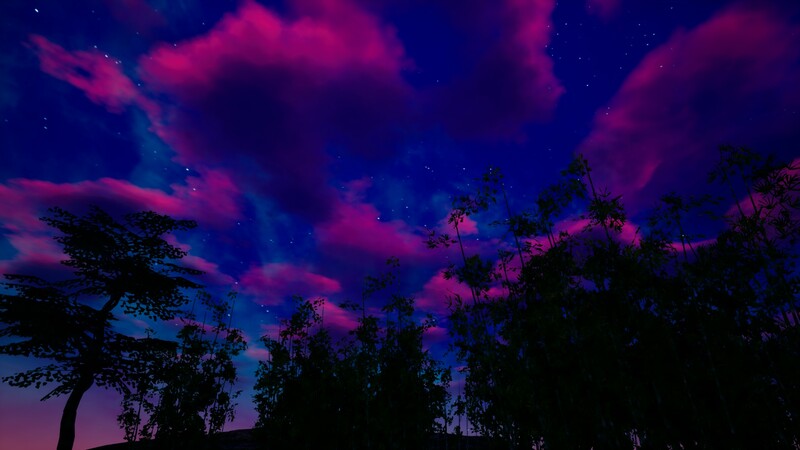 In reality, you should let your eyes rest for a while and enjoy the peace of the night. 6. Added the damage reminder status. When the red mark on the screen indicates the attack damage, the gray mark indicates that the health value is low due to hunger, thirst or oxygen depletion. 7. 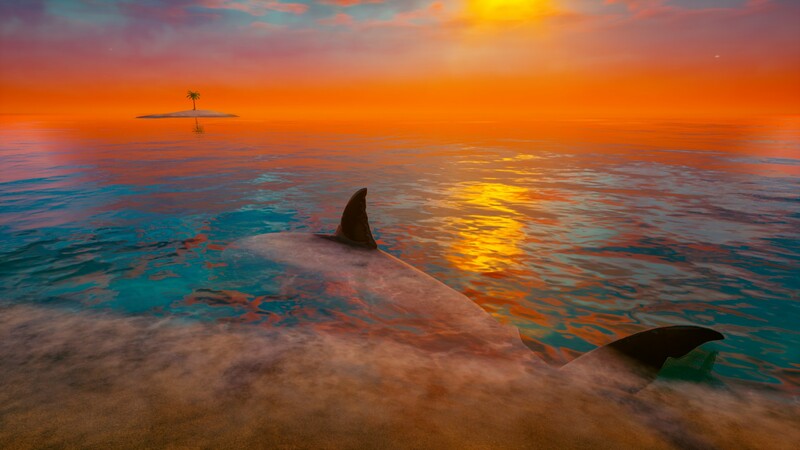 The new animal AI generation mechanism, land animals will appear randomly around the player from time to time, when the land animals are 200 meters away from the player will automatically destroy to save performance, when the fish AI is automatically destroyed after 50 meters away from the player to save performance, then will randomly generated animals again. Last edited by Tårnfalk on Mon Mar 25, 2019 5:15 pm, edited 1 time in total. 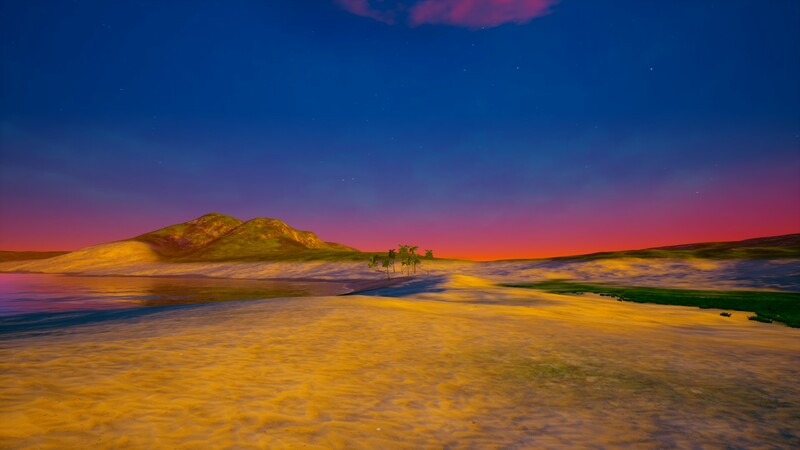 This game is so stunning. The screenies do not do it justice. So peaceful and pretty. Specially the way the ocean behaves. Love it. 1. Add two kinds of bows and an arrow (in order to make the bow have a better shooting feel, I shot more than 5000 arrows in the development test), they have different lethality and range, The arrow hits the target with 7 different random sound effects, when you make the bow and arrow, equip them and press the left mouse button to accumulate power, release the mouse to launch, Archery range is related to your power storage time, about 3 seconds to complete power storage, you need to judge the prey distance to adjust the angle of the archery, can not launch arrow in running，jumping and swimming. 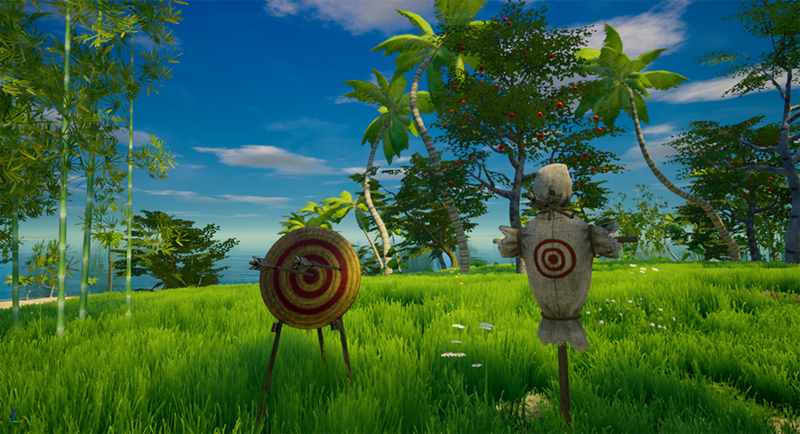 Bows and arrows will be your perfect range weapon for long-distance hunting, but smart aggressive animals will escape when they are injured by arrows, and they are not afraid of your axe, if you encounter a group of animals, it is best to escape. 2. 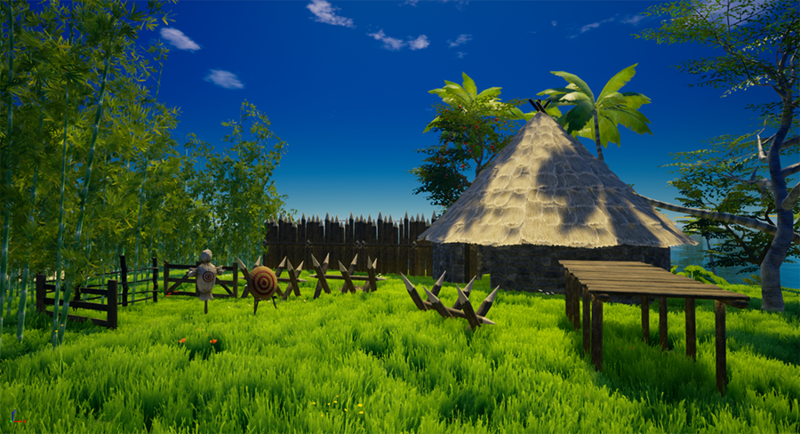 Add 4 kinds of fences, wooden walls and bridge to defend and decorate your home. New original stone cottages, new furniture and room decorations: wooden chair, table, benche, wooden bowl. Add a wooden archery target and a dummy for you to practice archery. 3. 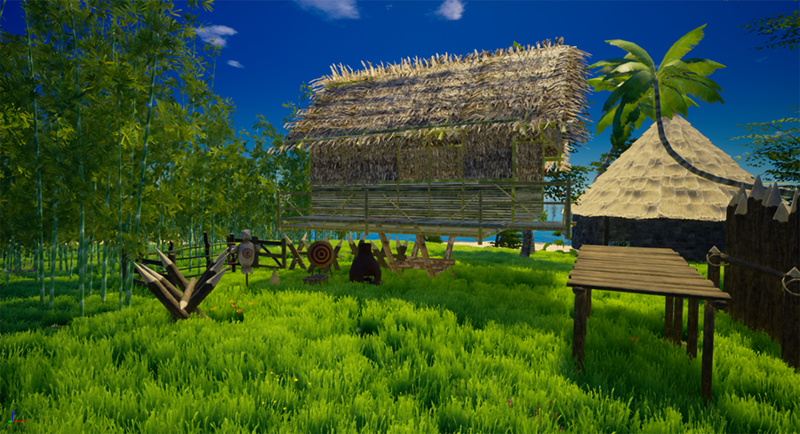 Add a new 12 bamboo building parts and bamboo resources, you can now use the axe to collect bamboo to build a simple and warm bamboo house. 4. Add a spear that can be thrown. It is stronger than the fish spear. It is not limited to durability. The left mouse button is used to stab the attack. The right mouse button to thrown spear. 5. 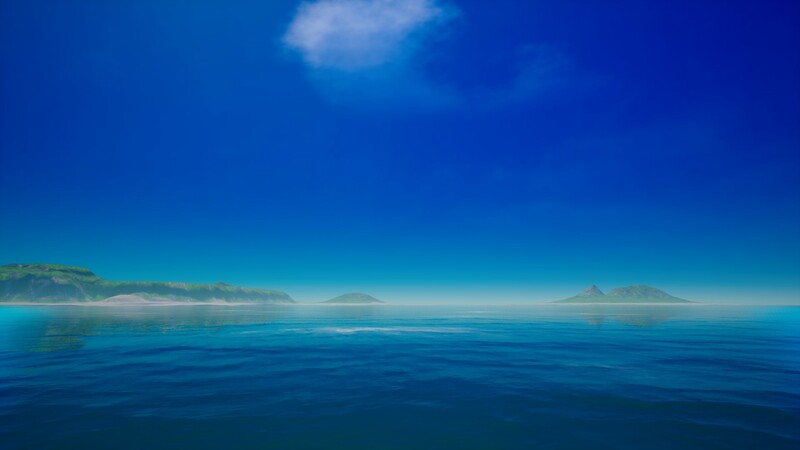 Add 8 new kinds of clear weather. 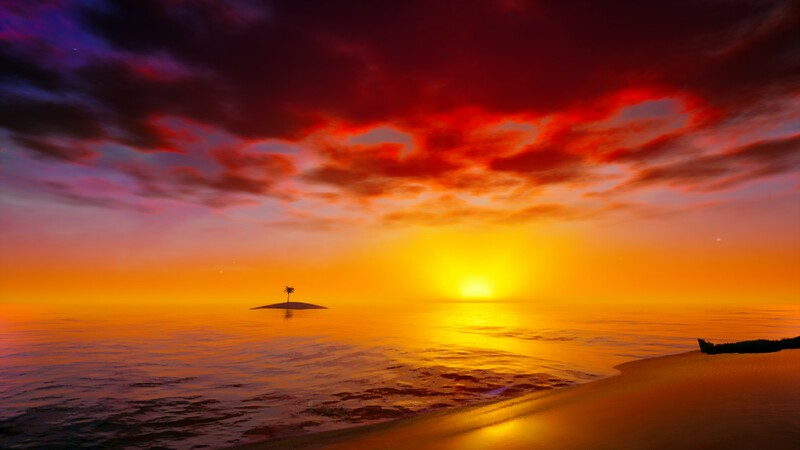 At present, there are 21 new kinds of magnificent clouds, the rain will be reduced, the sky brightness of rainy weather have be improved, and the saturation of the sky and scene have be reduced. 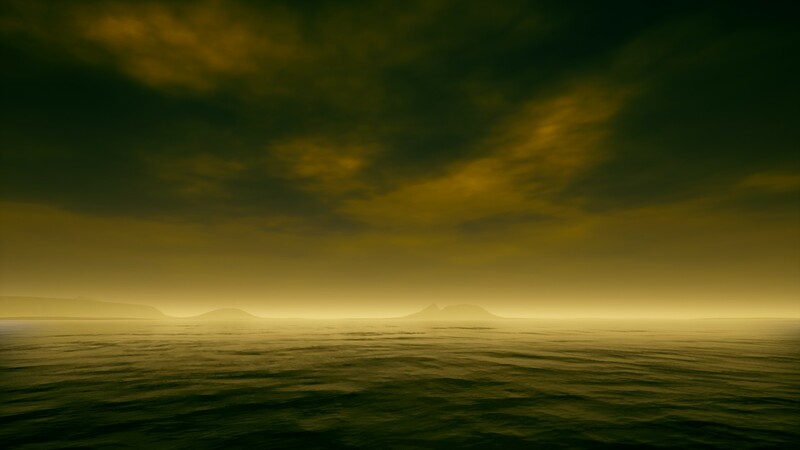 makes the picture look more comfortable and real, the weather changes more naturally. 6. 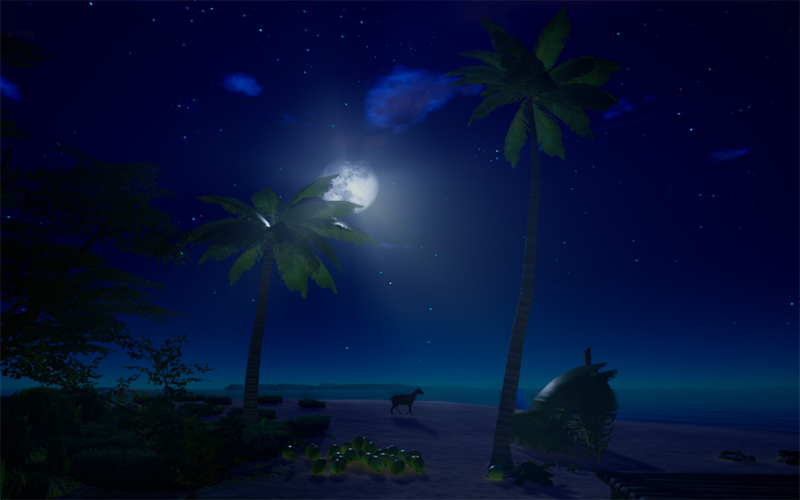 The new bright night scene, the night is no longer too black, you can run freely in the moonlight, enjoy the starry sky and moonlight of the island, away from the irritability of the world, and find the pure land of the soul. 7. 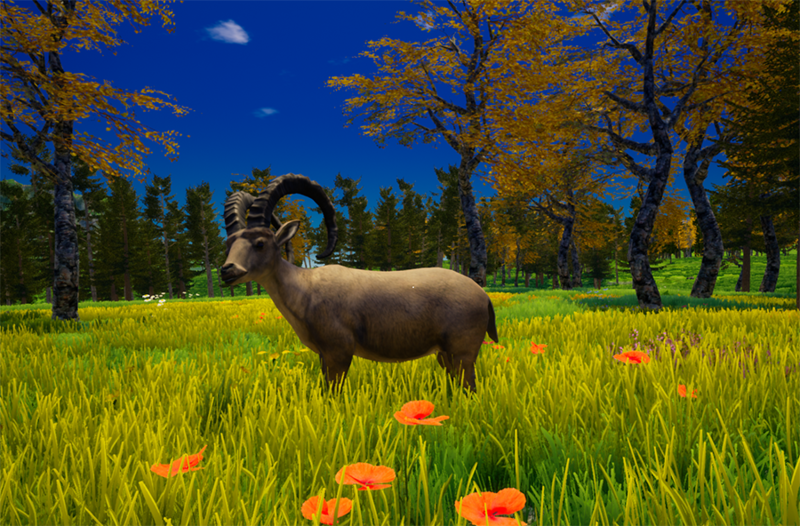 New Animals: Longhorn Wild Goat, you will see it and other animals on the vast land with opportunities. 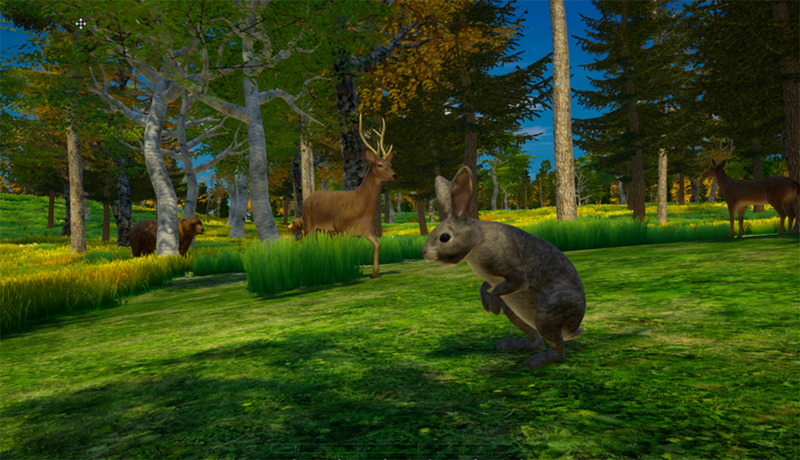 Improve the speed of the animals, which will test your archery and spear technology, hunting survival is more challenging. 8. Add 6 kinds of grassland flowers, which will make the grassland more beautiful and full of life. 9. Added graphic settings and audio settings in the pause menu, you can also set them in real time in the game without exiting the game to the menu interface. 10. 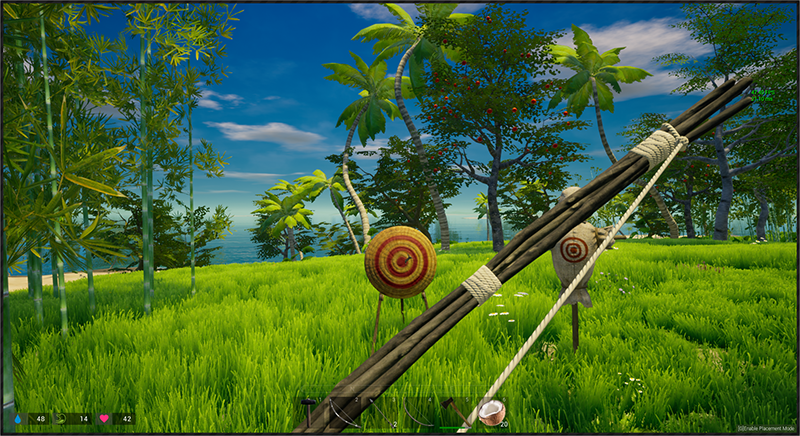 Add new resources and items: coconut shell fiber, rope, cloth, when you cut the coconut to get fiber, coconut fiber can be used to make cloth and rope, build weapons and some other items need cloth and rope, So coconut is more important. In places where there are few tree resources, you'd better plant more coconut trees. 11. Add a reminder point after death. After the reborn, you can go to the red icon marked after death to find the package. Currently, only the direction is displayed. It will disappear after 20 minutes. If there are important items, please go as soon as possible. .
1. 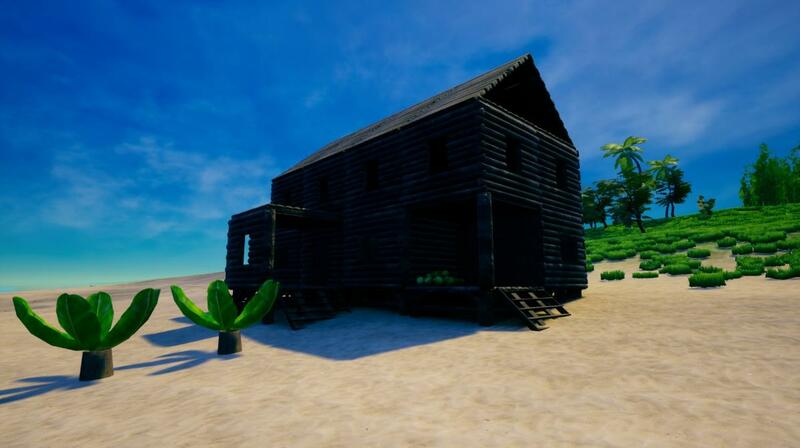 Increased the shadow brightness of the building and the trees, the picture quality is greatly improved, the natural environment looks more comfortable and bright, the shadows are softer, the room is brighter, and the interior looks no longer too dark. 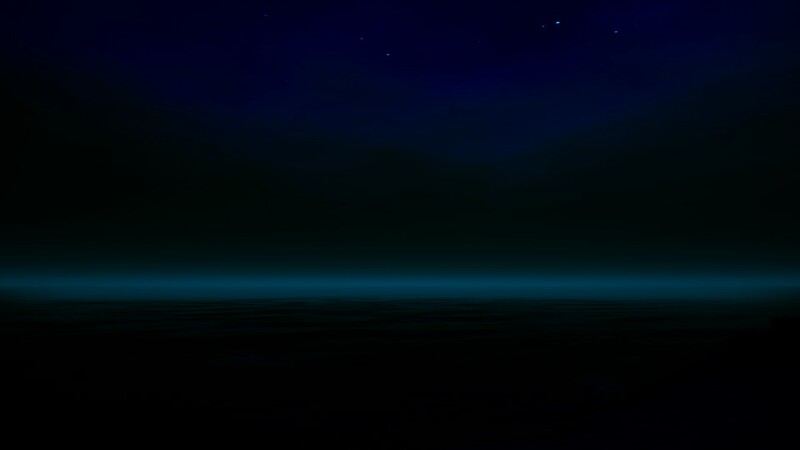 Improved the color of the sea floor, brighter and more beautiful, adding underwater plants and rocks in more areas. 2. 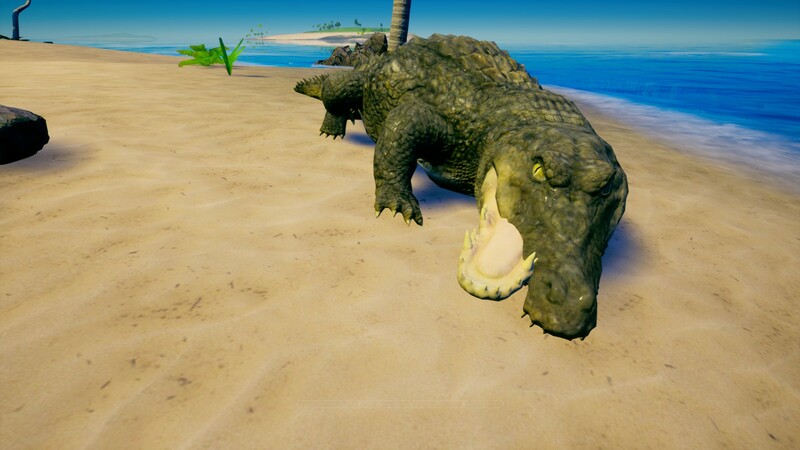 The weight limit of the backpack is no longer set, but the number of items stack will be limited, so you need to hunt the crocodile to get the crocodile skin to make the backpack to increase the number of spaces in the inventory. 3. Improve the overall layout of the inventory interface, add more backpack spaces (Note: if you do not display more spaces after the update, you need to save the item and reborn again, this is because the old archive does not initialize the inventory component after the update). The new layout is more tidy overall. 4. 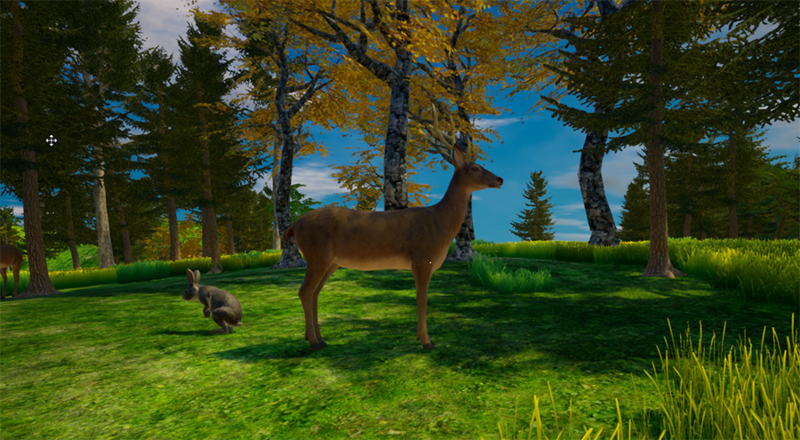 Improve the mechanism of randomly generating terrestrial animal AI in the vicinity of players. The process of generation is more natural and seamless. 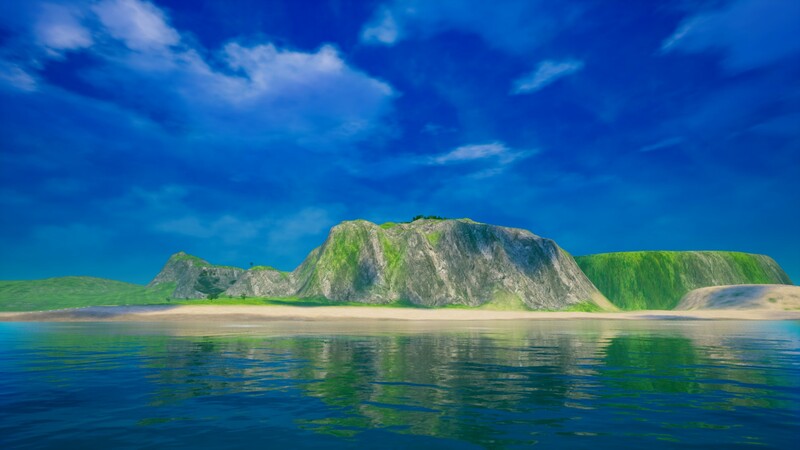 The land of dozens of square kilometers will be full of life. You will often encounter groups of animals on open land. 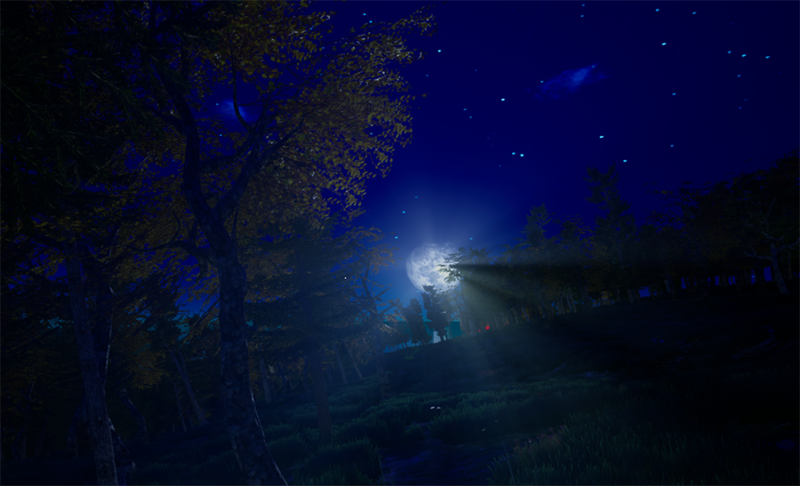 You may Will encounter a group of deer on a hillside, may also encounter a fierce wild boar or a group of wolves, survival is more challenging, reduce the refresh rate of AI navigation to save performance. 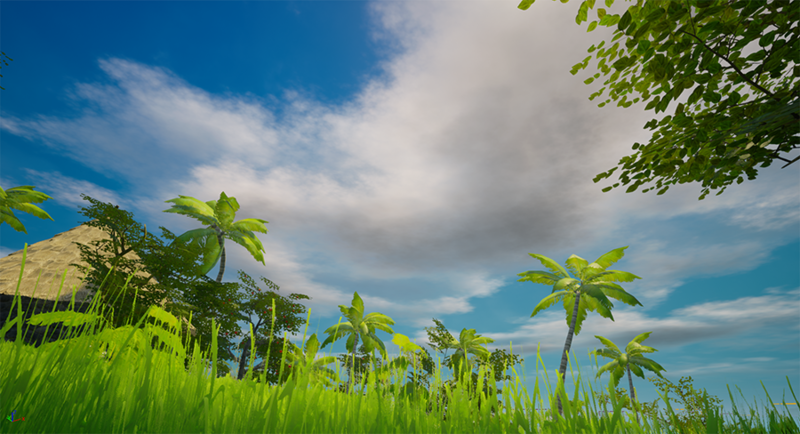 Animal AI is intelligent, you will see carnivores hunting for herbivores, and the island ecosystem will continue to improve. Animals are smarter, carnivores will escape when attacking long-range weapons such as arrow and throwing spears, but bow can't be used in running , If you encounter a group of wolves, it is best to escape. 5. Improve the hand food to eat, when you eat a food will automatically equip another stack of the same type of food, reducing the speed of food and water consumption during the run. 6. Now, after sleeping, in addition to skipping the night, you can slowly restore the health value, restore 1 every 3 seconds, but limit every 10 minutes to sleep. 7. 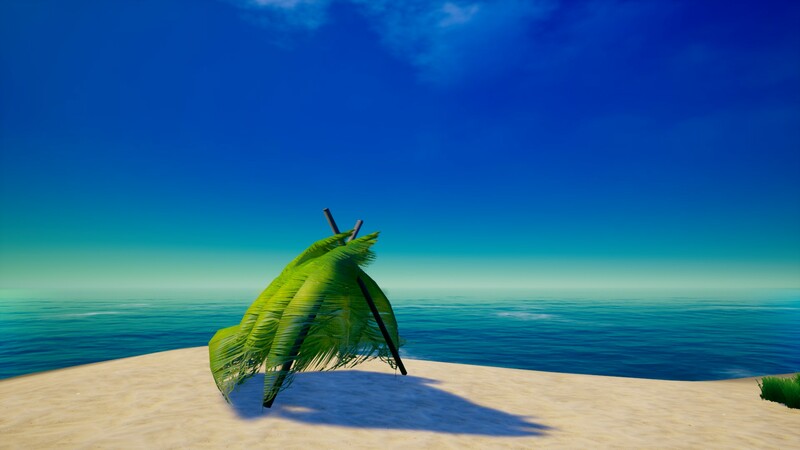 Improved the collision of coconut leaves with the ground, they will not fly into the ocean. 8. 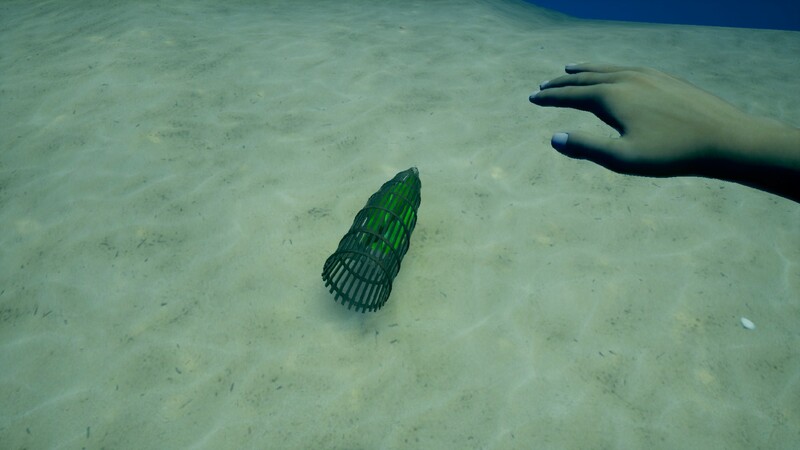 Improve the brightness and illumination range of the flashlight and improve the attack range of the fish spear. 9. Improve the closing mode of campfire, furnace, water collector and storage box. Press E to open and press E again to close the inventory interface. Temporarily cancel the H key to hide the game HUD, because hiding will cause the map to be unable to zoom and click. 10. Improve the craft interface and item classification, the icons are more intuitive and the classification is more clear. 11. Cancel the map Fast travel function, Fast travel may make the game lose interest in exploration and temporarily cancel.